The Ivanović family settled in Aleksandrovac in the Župa region in 1814. Ever since then generations of the Ivanović family dealt with grape and wine production. On his return from the First World War in 1919, Dragoslav Ivanovic established a wine and brandy workshop. This company grew very fast and in 1939 and 1940 it reached wine production of 500,000 liters. 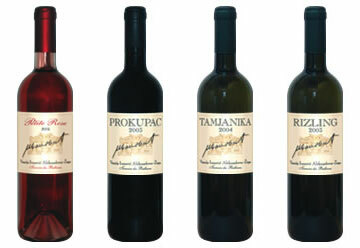 After the Second World War the production stalled as in all other privately held wineries in Serbia due to the regime. In 1996, his grandson Dragoslav I. Ivanović returns to Župa, pulls out old grandfather's recipes from dusty drawers and renews the family tradition.